Liverpool were handed a big triple boost on Thursday as three first-team players returned to training after recent injury absences. Jurgen Klopp‘s squad has been stretched to breaking point over the past couple of weeks, particularly across defence and midfield. A succession of injuries has meant the boss has needed to rotate on a regular basis to try to find the right combination, resulting in a narrow win over Crystal Palace followed by back-to-back draws against Leicester and West Ham. The one-game suspension for James Milner didn’t help matters either—but now three key returning faces could ease matters ahead of the weekend. Gini Wijnaldum, Jordan Henderson and Trent Alexander-Arnold all took part in full training on Thursday, along with the rest of the squad as they prepare to face Bournemouth on Saturday. The return of each could be vital as the Reds look to rediscover their winning touch and regain top spot in the Premier League. 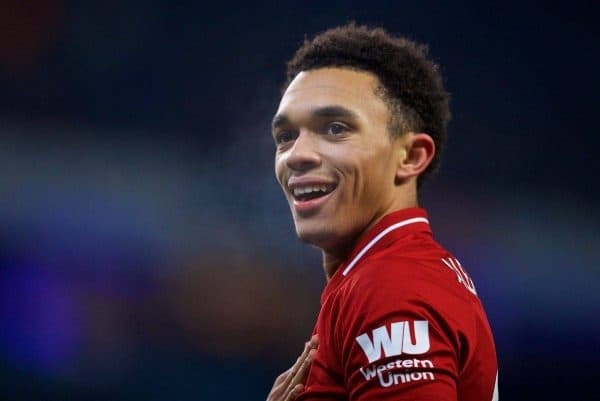 Perhaps most telling would be a return to the lineup for Alexander-Arnold. While there are no assurances about his level of fitness at this point, he has been sorely missed at right-back since suffering an injury against Brighton. Having initially hurt himself in the warm-up before that game, Alexander-Arnold ended up playing the full 90 minutes, only to suffer afterward. He has missed the ensuing three fixtures, with the Reds struggling to find a suitable replacement. 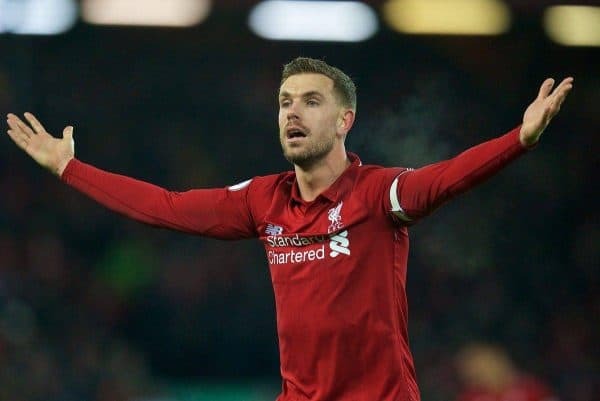 With Rafa Camacho deemed not experienced enough for the level of winger he would have been facing, Jordan Henderson played one game in the position and Milner two—being sent-off against Palace. Henderson himself has suffered a couple of niggles of late, after being handed a regular run in the side. He missed the FA Cup game against Wolves, where he was slated to start at centre-back, but started four league games in succession at the start of 2019. The skipper did, however, miss the draw at West Ham with a slight knock. 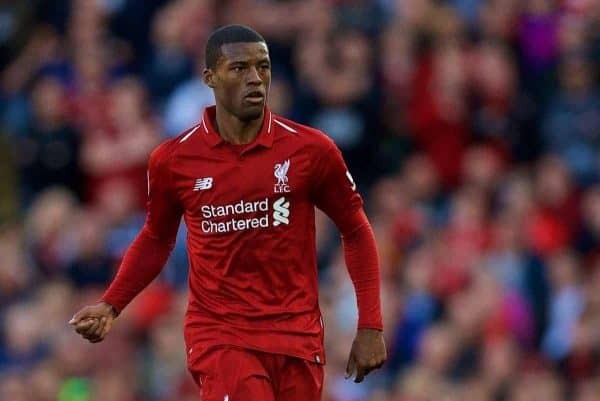 There will be a battle for places in the centre of the park once more with his return, especially as it coincides with Wijnaldum’s availability. The Dutchman has been one of Liverpool’s best performers in 2018/19, but has missed two of the last three league games, both at Anfield. His 90-minute display against Leicester in between was impressive, but Klopp will want to ensure he is back to full capacity this time around before putting the No. 5 back in the side. 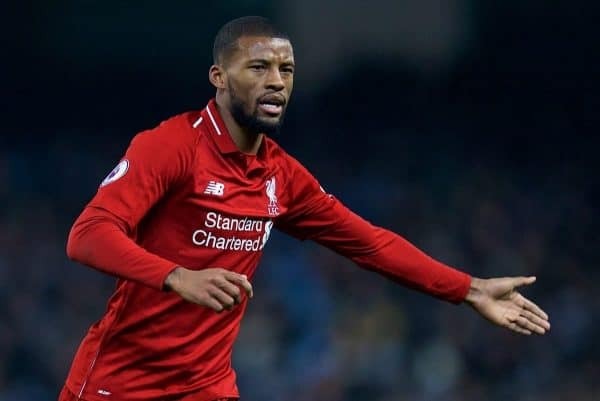 Wijnaldum will be critical to the Reds’ fortunes across the final third of the season, and with reasonable availability in the centre of the park right now, Klopp may err on the side of caution if he’s not at 100 per cent—and the same goes for the aforementioned returning duo. Liverpool remain without the recuperating Alex Oxlade-Chamberlain and fellow long-term absentee Rhian Brewster. There are also ongoing absences at centre-back, with no word about Dejan Lovren‘s recovery since an injury sustained against Wolves in early January—though he was on the bench once since then—and Joe Gomez still out after recent surgery.